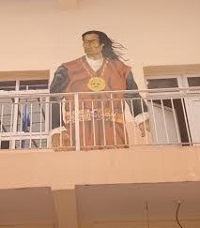 Tupac Amaru Neighborhood Association is named after Tupac Amaru II, the indigenous leader of the 1781 rebellion in Cuzco, Peru against the Spanish colonizers. 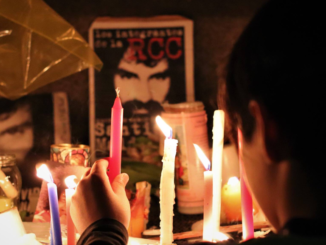 The Tupac was formed 16 years ago in the context of severe unemployment and hunger brought by neoliberal policies that especially affected the province of Jujuy. 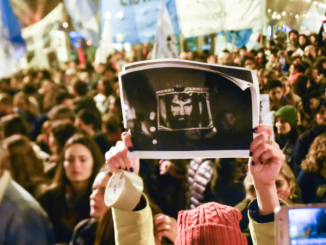 The world’s largest GMO corporation never imagined that it would suffer one of its major setbacks in a small, rural town in central Argentina. 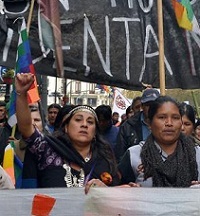 Popular opposition, irregularities in the company’s environmental impact assessment, a protest blockade at the entry gate, and a court ruling stalled the construction of its seeds plant three years ago. 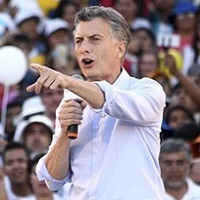 The election of Mauricio Macri in Argentina’s presidential race comes as a welcome victory to the country’s business elite and right-wing parties across Latin America, but the president-elect has some dubious ties that could signal a lasting legacy in the new head of state of darker times in Argentina. 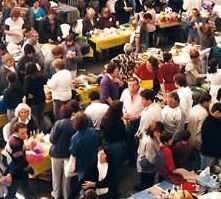 “How did Argentina survive their economic crisis?”; “Are they doing better now?”; “What happened to the factory takeovers?”; “Did millions of people really participate in the barter network? Did they actually invent new money?” These are some of the many questions I have been asked by Greeks, especially over the past few weeks, related to their economic crisis and the potential for self-organization and survival. 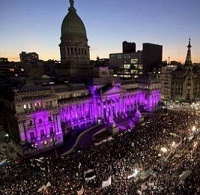 In the wake of the massive response to their call to protest violence against women in Argentina, the organizers of last week’s demonstrations are starting to plan the steps to be taken to get results for their demand “Ni Una Menos” (not one less), taking advantage of the strength in numbers shown to obtain political support for public policies aimed at protecting women. 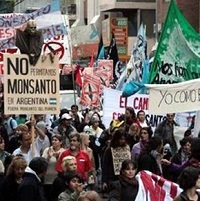 In the small towns of the Argentinean Pampas, glyphosate spraying is making residents sick and poisoning life. Resistance to the model of industrial agriculture is growing day by day.